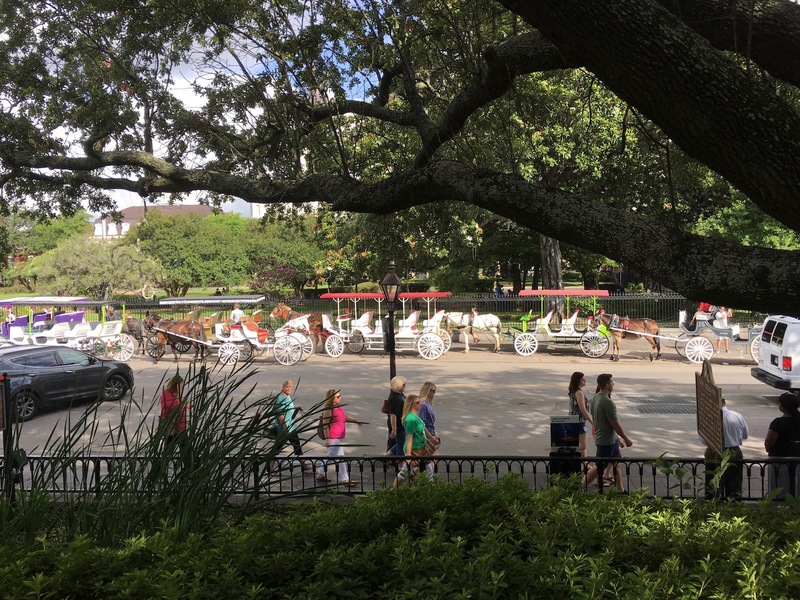 My trip to one of the most iconic places on Earth — New Orleans — was pretty darn great. I was attending Plenty Retreat, a conference geared to writers and food industry professionals focused on sustainability, and decided to make it a long weekend with my hubby. In my past life, I visited NOLA while supporting offices in that region, but haven’t been back in 20+ years. Some things have changed, especially after Katrina, but the spirit and history have remained. 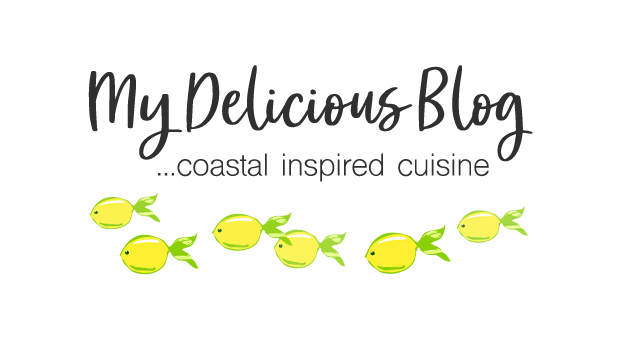 Planning my 3.5 day trip was fun – I dug into local food writers’ blogs and read national articles about ‘the best’ places to eat and visit. Needless to say, my list was long, about 4 pages to be exact, so I had to pare it down since my available time amounted to only about 14 hours. 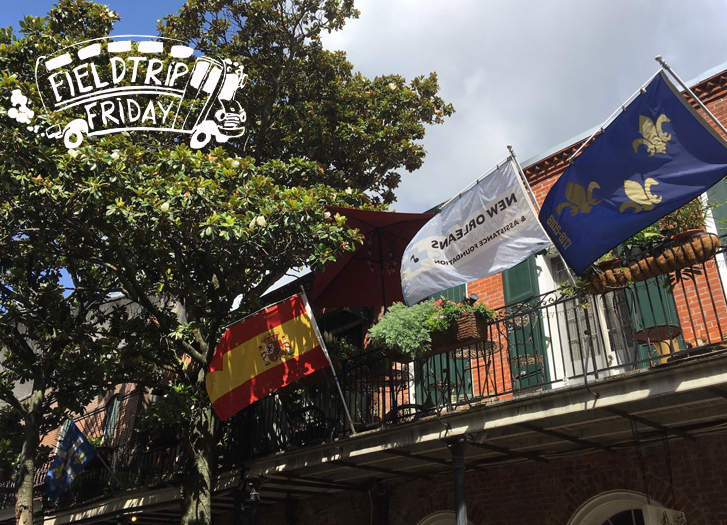 . .
Interestingly, we found ourselves at Bourbon House on Bourbon Street for our first stop. 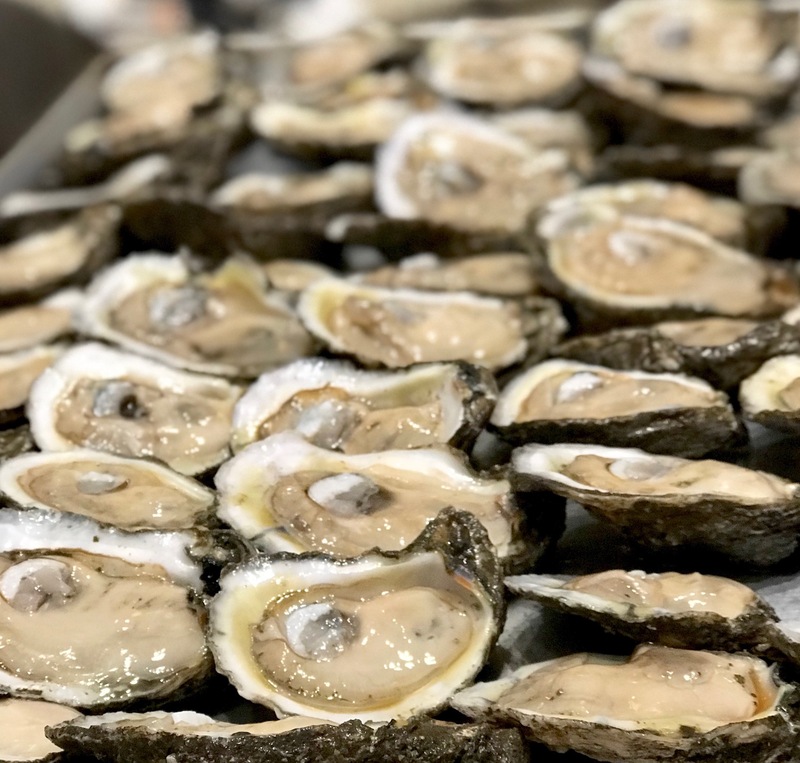 We sat at the oyster bar and watched a big, burly guy shuck oysters like a master, then we enjoyed those icy, sea-infused beauties with notes of sweetness and saltiness, all while sipping on refreshing bourbon cocktails. That night, we roamed the famed street and enjoyed all the craziness it offers, like music in every doorway, crowds of partiers singing and drinking, and much more that you simply have to experience for yourself. The next day we headed to Cafe du Monde. 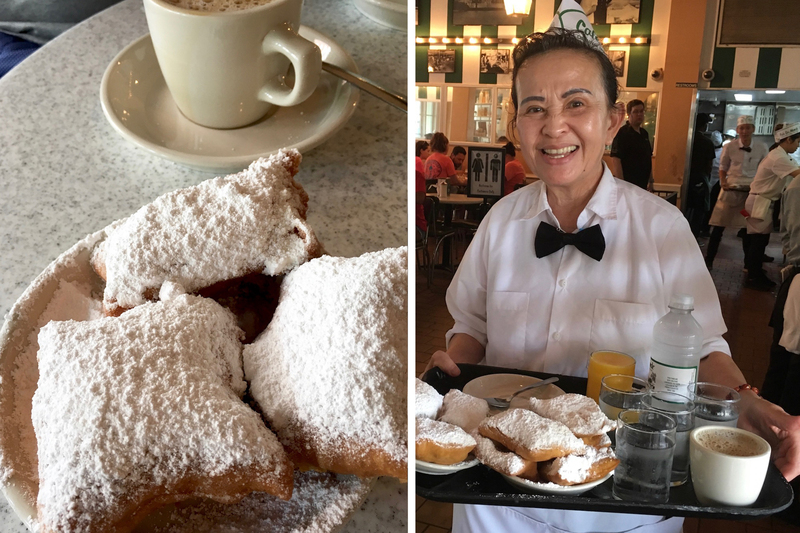 No trip to NOLA would be complete without beignets — French doughnuts, sort of like fritters, made with yeast-based dough that’s fried, then doused, and I mean doused, with powdered sugar while hot. We got there early (no later than 10 a.m.) because it fills up fast and noticed there are two lines: 1) the outside ‘To Go’ window to pick-up a batch and wander the streets, and 2) the patio or inside cafe for table service where you can watch the parade of servers churning out tray after tray of these treats. Hubby and I enjoyed a standard order of 3 beignets, along with cafe au laits. Our server told us she has worked there for 40 years and still loves her job — wow! You can even find their products at shops throughout the city — coffees, pralines, and beignet mixes to take home. 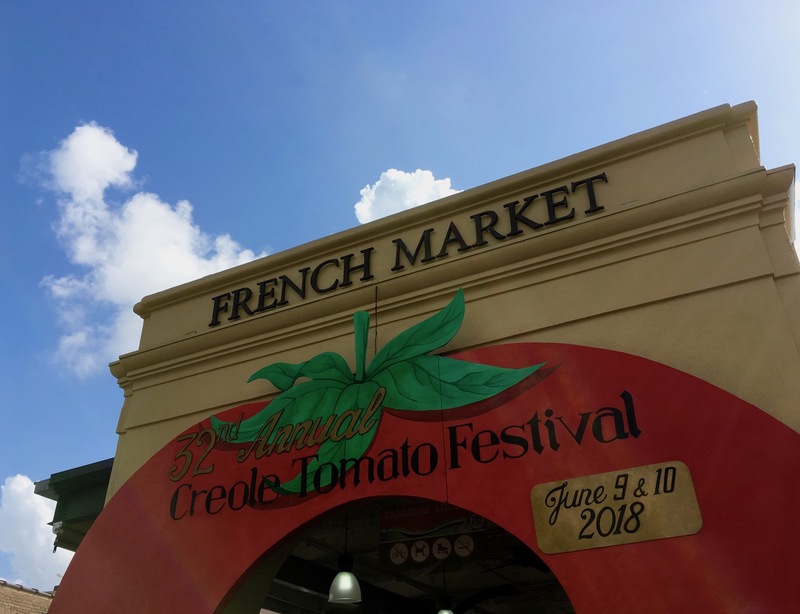 After beignets, we browsed The French Market, a place that’s been around for centuries. It fills about 6 blocks, so there’s lots to see. 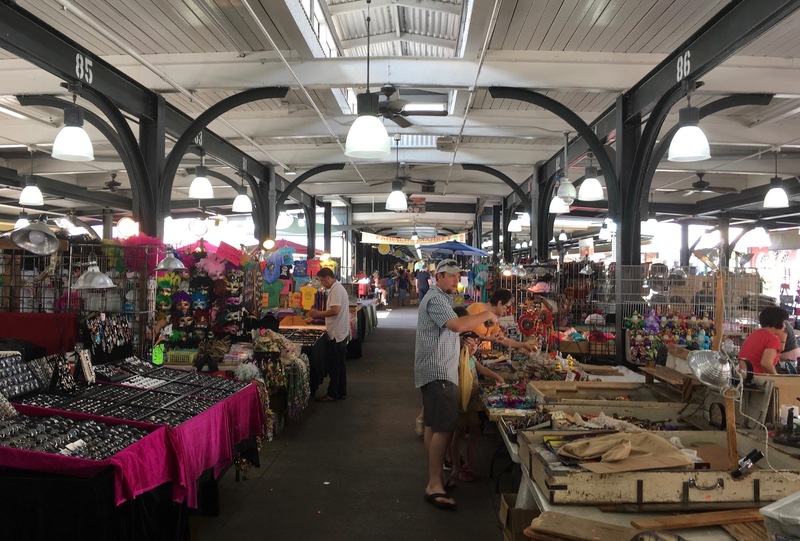 The daily, open-air/covered flea market offers deals on stuff like jewelry, handbags and home decor, and the farmers market is held on Wednesdays and Saturdays for fresh produce and seafood. We walked most of the time, but you can save some steps by taking a carriage ride, experiencing the city from another vantage point (and the coachmen all have LOTS of personality). As late morning approached and we hadn’t eaten in about 60 minutes, we sought out brunch and arrived at Angeline, owned by Chef Alex Harrell, a well-known chef who supports locally-sourced produce and seafood. 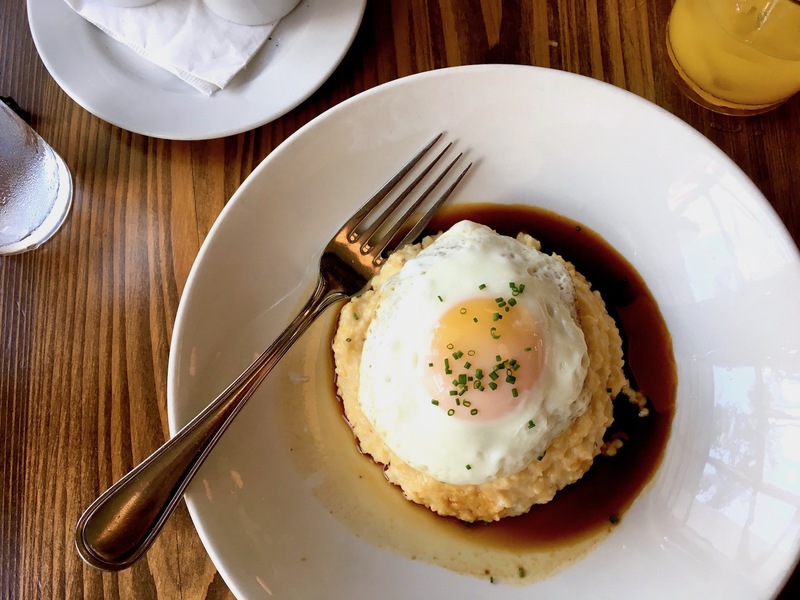 Basically, the dish we had could be on my daily table for the rest of my life and I wouldn’t object — Coosa Valley grits, crispy Boudin sausage and a perfectly fried egg, all bathed in savory red-eye gravy. Truth be told, if others had not been around, I would have picked up the plate and licked it clean because those were the best damn grits I’ve ever eaten. Lucky for us, we got there before it closed, since Chef is seeking a new location. If you visit, be sure to ask about Angeline and, wherever it is, GO there. 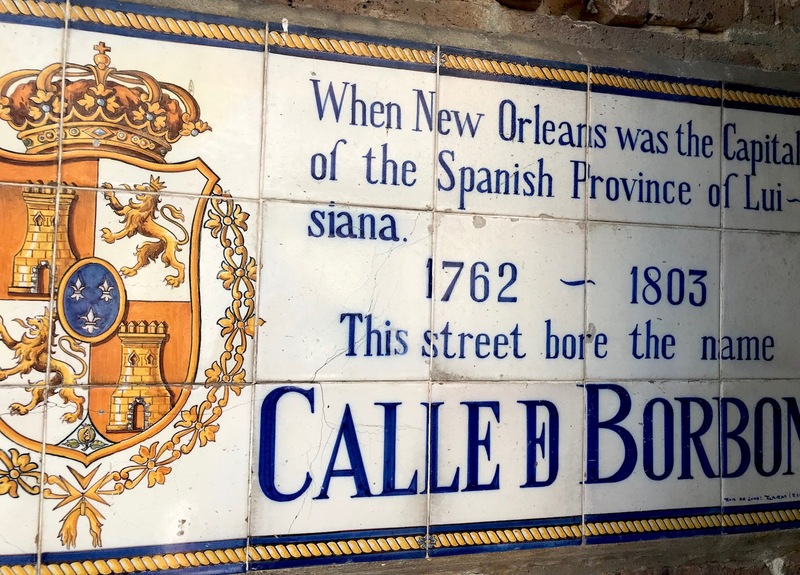 To hear jazz, we headed to Frenchmen Street – it’s similar to Bourbon Street with its many restaurants and bars, but definitely has a more ‘controlled’ feel to it (basically, it seemed a bit more civilized). We stopped to listen to a band on the street that was just amazing – many young guys who belted out music like they had been doing it for decades. Then we swung into The Spotted Cat (a.k.a “The Cat”) to hear the New Orleans Cotton Mouth Kings. Billie Holiday, Ella Fitzgerald, Count Basie — so many classics and this band did them all justice. At Cafe Negril we listened to live reggae, also awesome (Note: these two places don’t charge a cover, but they do have a 1 drink minimum). If you want to see a big headliner, check out Snug Harbor – purchase tickets for an evening of music and food, and you might even hear someone famous (that night, we heard one of the Marsalis guys was playing). 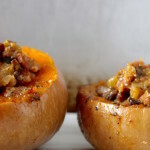 If delicious food with a sustainable focus is your thing, go to Herbsaint — it’s owned by James Beard Award Winning Chefs Donald Link and Stephen Stryjewski of the Link Restaurant Group, which includes Calcasieu, Cochon, Peche Seafood, and La Boulangerie. We enjoyed their ‘rustic Italian’ food, including spaghetti with guancial and fried-poached egg — simply divine. We were also lucky enough to enjoy a private dining experience at Calcasieu with dishes like rich chicken and andouille gumbo, fried green tomatoes, beef short rib, scallion hush puppies, fried oysters, Sazerac cocktails (a New Orleans tradition), and sweet potato bread pudding with bourbon anglaise that I was tempted to box up and put in my suitcase. 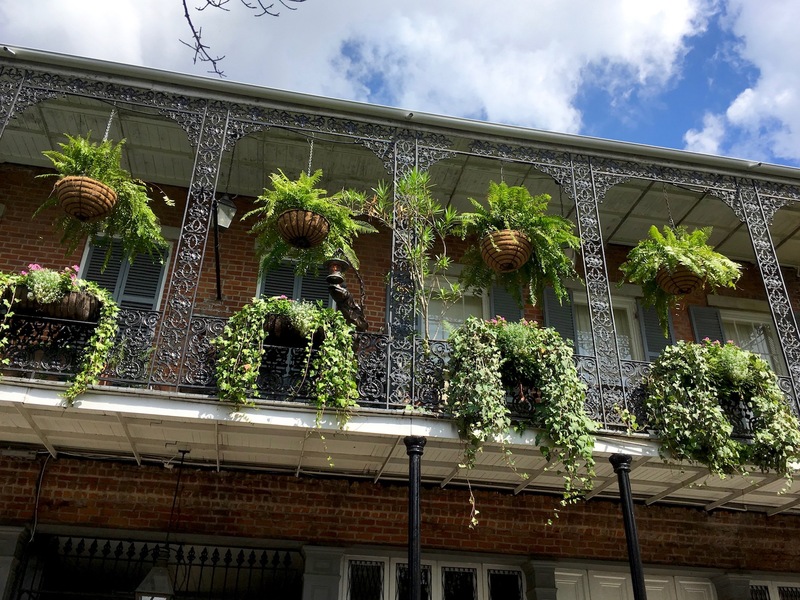 While I was in my conference, my husband toured the Garden District — a must if you love stately Victorian homes, beautiful gardens, wrought-iron trellises, and amazing sculpture gardens like the one at the New Orleans Museum of Art. Sadly, no pictures to share, since he almost passed out from heat exhaustion (! ), but it’s a must-see. Galatoire’s is one of those amazing, 113-year old restaurants. Jackets are required all year long, but in the summer, ties are optional and, in some rooms, they even allow good-looking jeans. But you won’t mind formality because it’s an awesome dining experience with classics like shrimp remoulade, foie gras, sweetbreads, shrimp creole, and black bottom pecan pie, all served by waiters in bow ties. 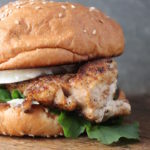 Po-Boys are available just about everywhere – simple sandwiches made with fresh, crusty bread and typically stuffed with fried shrimp, oysters, or roast beef. The tradition goes back to the 1920s when workers sought lunches that were tasty and cheap, and they’re still making them the same way today. 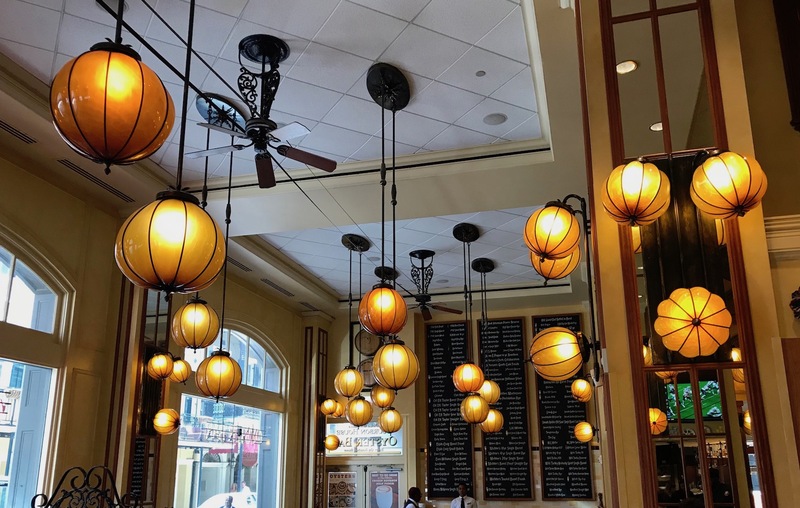 We couldn’t squeeze one in due to our limited schedule, but locals say that some of the best can be found at Parasol’s, Domilise’s, and Mother’s. The muffuletta! It’s the sandwich with Italian origins made with cured meats, cheeses and olive salad all stuffed in a large crusty bread and pressed with something heavy to meld all the layers and flavors. I’ve enjoyed several in my day, and some of the best can be found at Napolean House (opened in 1797) and Central Grocery & Deli (the original owner, Salvatore Lupo, created the sandwich in 1906). For classic bananas foster, Commander’s Palace is incomparable. It’s served table side by men in suits who regularly remove the crumbs from your starched white tablecloth. 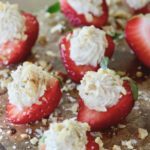 This dessert is a thing to behold and savor slowly. . . Previous Post: « Summer is Here! What a fabulous trip! I’m so happy you went. NOLA food is to die for. I must know more about those grits! 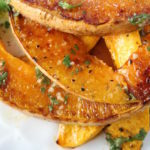 Did they taste like they were cooked in cream? Was the texture super soft or did it have some chew? Any cheese? Thanks for the tips! I’ve been ordering grits from Anson Mills for a while, but I’ll try those next. Probably best to consume that city in small doses. Way too much temptation for any of us who have little resolve when it comes to divine food and drink. Wow!! Great writing. Felt like I was there. 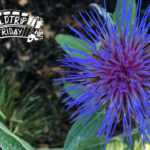 Super blog. Thank you! Maybe some day you guys will go — it’s such an amazing city. What a fantastic trip. It sounds like you hit all the best places including our favorite The Spotted Cat on Frenchman Street. Always good so enjoy the music of NOLA after savoring their brilliant cuisine.